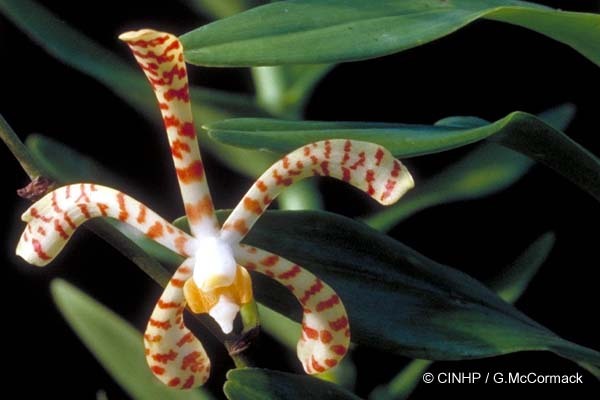 KEY FEATURES: Epiphytic orchid to 2m. LEAVES alternate, straplike to 15x3cm. 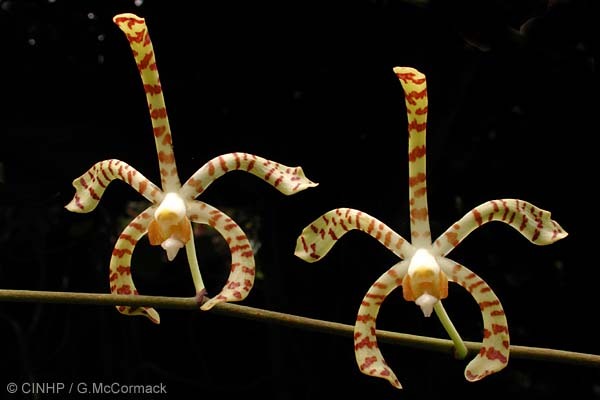 FLOWERS axillary, erect branches to 50cm; large; petals 5 spreading, straplike with spoonlike ends, to 5cm, pale yellow with red-brown dots and bars.